Crazy thought here, but restrict wines sold in New York grocery stores to wines produced in New York State? Anything has to be better than what we're looking forward to here in Penna. with Wine Vending Machines in grocery stores(pictures, breathaylzers, and a hardwire to Harrisburg to confirm ID. It's nothing more that a payout to the Governor's friends, who make the machines. Bottom line, wine is food, and it should be sold with food. It's that way in the great wine regions of the world for that very reason. The industry will change, large and small. Some will succeed, some will fail. That's business. The change is good for wine. 1)The mom & pop wine shops will loose, no matter how you look at it. The American dream is to own your own business. The opportunity for such will not happen. People will not visit a wine shop, when it is convienent for people to buy wine in a supermarket. When people stop buying wine from a wine shop, weather it be a $5 bottle or a $40 bottle, the mom & pop's of the world will loose. 2) You take the romance out of wine. There is something about going to a wine shop, listening to the banter while checking out the newest local stock and trying to figure out the difference between left and right bank. I can comfortable walk into a wine shop and ask, "I am looking for a Cabernet Franc Blend from the Lorie Region, can you recommend something to me?" I cannot imagine that happening in my local Whole Foods. Can you? 3) When I want good wine, I go to a wine shop; when I want good cheese, I go to a cheese shop; when I want good produce, I go to a farm stand; when I want good meat, I go to a butcher; when I want good fish, i go to a fish monger...you do it too. 4) This will not help local wine, or NYS wine. Because right out in front will be the over produced, poor quality, cheap wine from mass producers. 5) For more then 35% of NYS wineries and vineyards to be OPPOSED to this says something. Not all of the remaining 65% have committed to be in favor of this either. If you look at the list, you will see a lot of major players in the wine industry OPPOSED to the proposal. That should speak volumes. IF it were a good thing, don't you think that there would be more vineyards and wineries on board? These are just my feelings and I may be off base with some of them, but it's just how I feel. Bottom line....If it ain't broke, don't fix it. Michael, this is one thing that we clearly disagree on. 1) Not all mom & pop wine shops will lose. Only the lazy ones unwilling to do what it takes to survive and thrive in an open market. Wine shops that care about the wines they carry will not be hurt by the local grocery store stocking mass-produced plonk. 2) Again, the shops where the employees know anything or care will do just fine under this plan. In fact, they may do even better by being able to have more than one shop, expanding what they can sell, etc. 3) I actually do the same thing, but we're the minority of consumers and it would be NICE to have one place to get all, no? 4) I agree. You're helping to make my #1 above. 5) At least some of that 35% is just worried about losing the outlets they have today (existing wine shops). There have been a great many threats made to wineries who support the grocery store idea. I am firmly against this current legislation - it is filled with provisions that are not good for the wine industry in NY. It is funny how more than 60,000 restaurants can be ignored as a market while the stores are under the gun. Why isn't NY wine selling in these restaurants? Certainly a focus here would sell more NY wine than anything else could. Lenn, even Wegmans admits the wine shops located next to grocery stores are toast. That's 1,100 stores upstate. The wine shop has a lease, can't move (break the lease) and instantly looses all of the sales of its bulk wine (boxed, etc). That's a huge revenue hit for those stores overnight. 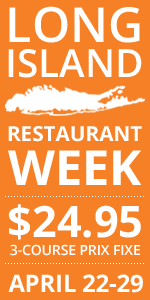 We sell through about 75 stores and 25 restaurants upstate. What will replace those stores that currently sell NY wine? In NY City it's a different picture. 100 wineries are opposed to WIGS. No one has published a list of the "for WIGS", but it is believed to be a very small number. Many wineries won't get involved either way. There have not been mass product removals of product from wineries who are pro wigs. I see their wine on the shelves at all the stores we are in. In this country we are all encouraged to have opinions and to discuss them. There are probably ways to make it work, but it will take many years to phase in and involve all of the stakeholders talking (people who sell wine). I think you shot yourself in the foot up there. You go to a cheese shop for cheese, a butcher for meat and a fishmonger for good fish. Yet, all of these are also sold in grocery stores. What of the mom and pops? What has happened in that situation is those shops have set themselves up as the places you got for GOOD, gourmet, fresh or high quality product. The same stands to happen for wine. Just like you won't find a cheese shop that sells Velveeta or Cracker Barrel Colby Jack, wine shops won't be able to get away with offering the mass produced, assembly line wine that many of them do right now. The shops that have good assortments, that care about wine and the multitude of honest growers and producers in the world will do fine, just like gourmet cheese shops and specialty food shops do. Those that don't, well, sure, they'll disappear. But I have this to say to them: good. There are too many shops that let distributors pick their selections for them, that don't know the first thing about wine, that think having Los Vascos makes them a worldly provider. And they're usually staffed with garden slugs who'd do just as well running convenience stores. Those shops blow, and they have only survived this long because they don't have competition. I say let them disappear so that "wine shop" one day conveys the same degree of esteem that "cheese shop" or "butcher" do. I've worked on the retail side, at a shop that cared about bringing good wine, not sugar-doused plunk, to the community. There's customer loyalty built up there that will survive when the Shop Rite start's selling $6.99 jugs of Gallo. You're right about at least one thing -- restaurants aren't a part of the current legislation. But who could they be? I'm not sure how you can legislate them into stocking more NY wines. Okay, for most restaurants stocking ANY NY wines. I think Henry says it well though...if the wine shop next door to a Wegmans sells the junk that the distributor tells them to sell (maybe with some "trophy" wines for show) maybe they should be "toast." I don't wish harm for anyone or their livelihood but at the same time, maybe the competition will push them to actually care what they are selling and treat wine as what it is -- an amazing beverage that I happen to love -- rather than soda for adults. Do you think that all of those shops you sell through will go out of business? If they are interested in local wine enough to stock your wines, at least a majority of them must care about the wines they stock. These aren't the kinds of shops that I see going out. The fact is (to Henry's point)... for good wine shops the grocery stores are NOT competition, just like they aren't for the cheese shop, the prime butcher or the fish market. This is a very complicated issue. Just as upstate is a different story from NYC, it's probably a different story for you as a small winery than it is for the larger producers in the state. Clearly there is no one-size-fits-all for all shops, all wineries, all consumers. Keeping wine out of grocery stores is a big insult to consumers. That's bad business. Most states manage it just fine. Not only is there a fine selection of wine (including local) in grocery stores, there are successful wine & liquor stores in those states. It seems as if a lot of people commenting on the issue haven't been out of the area to see what actually happens. There is no need to speculate. Henry - I may have taken a shot, but I missed. Show me a grocery, (Stop& Shop, Pathmark, Whole Foods) that is mom & pop and then I may have nicked my foot. When I was referring to shopping in the stores for good cheese, fish, and meat, It was intended to be with gourmet in mind. Now don't get me wrong, I do spend alot of my shopping hours in the local supermarket. But when I want that special rib eye you know where I am going. Oliver - What states have you seen a fine selection of "Local" wine in a grocery store. Other than California, I don't know of too many. NYS wineries and vineyards cannot produce to the level that a BareFoot or Yellow Tail can, and that is what you will see front and center. Presently, there are are only about MAYBE 10-15%, if not less, of NYS wine in my local shops. That number will fall far below that percentage in the wine shops and in the local grocery stores. To all... The last thing I want to see in any community is an empty storefront or building that once housed a wine shop. It brings down the value of our homes and communities and becomes an eyesore. Also, if you want a certian wine, and you get to know your wine shop people, I am sure they will get it for you. Sometimes we have to ask a few times, but we will usually see in sooner or later. Furthermore, if I am not mistaken, the law would allow wine to be sold in stores like Handy Pantry and 7-11. ow that makes sense doesn't it. I also believe, and correct me if I am wrong, that this law, if it goes into effect, it will allow wine shops the ability to sell cheese and cured meats. Putting a hit on your local gourmet cheese and meat shops. So there will be less trips to Love Lane and Sag Harbor for great Cheese. It is a domino effect that will hurt alot of people more than it helps. Lastly...Thanks to Jason for posting this and writing it. It is a great article and it has built great conversation. Lenn - The one thing we can say is that we agree to disagree. And this is a good thing. We are two passionate people who are crazy about wine, and this is the thing we don't see eye to eye on. Now if only everyone could just open a bottle of Cabernet Franc, we will all be better and this will all go away. Michael: I think you just made Henry's point for him. You go to the specialty stores, which are almost always "mom and pop" because you're looking for the best -- for things that the big non-"mom and pop" stores just don't have. Village Cheese shop is a mom and pop and it does just fine. Tilda's Bakery in Rocky Point does just fine even though you can get bread and pastries at any of the grocery stores nearby. Cow Palace and My Butcher are small "mom and pop" stores, but they survive selling meat -- just like Stop n Shop. What do all of these "mom and pop" stores have in common? They do it (one or a small set of things) better than the grocery stores do and people recognize that. Why wouldn't that happen with wine shops? I think your other points are a bit scattered and don't really focus on the point at hand. What does wine in Handy Pantry or 7-11 have to do with your argument? And regardless of whether or not my local wineshop can sell cheese/cured meat (Many WANT to be able to expand what they can sell) I'll still go out to Love Lane if they do it better -- and I'm confident that they will. There is another comparison that can be made here that is much closer to wine than bread, cheese, fish or meat -- beer. Beer is available in supermarkets, at convenience stores, at big box stores....but small, family-owned beer shops still exist and succeed. How do they do it? By stocking better beer, having growler-filling stations. I won't go far as Oliver and say that not doing WIGS is insulting to consumers, but I can see why he'd say it. What i'm getting at is that this issue is a big business vs small business issue. Just as NYS isn't doing the issue justice, neither is anyone who says the issue is black and white, one way or the other. It would clearly put a hit on bulk sales for many liquor stores, but if some do close, that funnels more business to the ones that adapt to the new climate, possibly encouraging them to expand and carry more and better product. As it stands, I think this legislation wouldn't hurt the industry here as much as its posited. Will it help the smaller players? There is as much data to say that it wont as there is saying it will. Is it really that hard for the govt to hire a firm for a month to look at the numbers? I'm still going to go to wineries to buy high end product, and still going to go to stores to buy out of state high end product. I can't see this changing that one way or the other. Bradley and Matthew: Thanks for the comments. Always great to hear new opinions on issues such as this. Bradley: I use the beer example only to show that specialty alcohol stores can excel vs. supermarkets that sell the same category. You're right that Wegmans stocks good beer and quite a bit of local stuff. It's probably worth mentioning Wegmans is really the outlier among NY grocery stores however (save maybe Whole Foods, which also does a good job with craft and local stuff). Out of all NY grocery stores, I'd expect Wegmans (and Whole Foods) to have move NY wines than others if it does happen. I also think it's worth mentioning that I don't think anyone is saying that we WANT any shops to close (even the lesser ones). In an ideal world, there'd be 100% employment and I'm certainly not pushing for people to lose their livelihoods. But, those livelihoods shouldn't be based largely on a monopoly either, right? Lenn, I am not suggesting legislating anything about restaurants. What I am saying is why are the grapegrowers and a few wineries blaming stores for their wine not selling when there is so much opportunity to sell to restaurants? I am saying that if their NY wine isn't selling and they haven't saturated the market, then the problem is not the lack of retail outlets. Maybe it's the wrong varietal or lack of promotion, etc. With so many restaurants I get kind of tired of hearing the "we need more outlets" argument. Matt - other states do sell wine in grocery stores. Most do so with vastly different legislation than NY. Ohio for example, doesn't allow warehousing or quantity discounting. It's interesting how a piece focused squarely on the absurdity of New York government spurs a debate about the nature of the proposal itself. All of us are definitely used to the manipulations of Albany--we almost take them as a given! To expand that point-of-view, consider my opinion on this matter: Out of a principled stand, I have to promote the idea of selling wine openly and in any responsible retail setting, but I reserve the right to shake my fist at the government for screwing this situation up from the get-go. What do I mean? When distribution techniques changed in the late 1960s and the mega-supermarkets started to emerge, New York faced a fundamental choice. Would it allow for the sale of all food and beverages in any setting the market saw fit, or would it play games with certain designations? Obviously, New York refused to make any hard decisions and the liquor authority quickly concluded that it wielded more power if it possessed sole authority over a restricted, hence monopolized sector of the retail market as embodided by licensed liquor stores. Elements of government do not always work in the best interest of the people; often, these sectors of government seek to enhance their own importance and longevity. That is how bad policy is born. The liquor authority exemplifies this idea of government run amock. I feel awful that New York artificially propped up a group of speciality stores, often mon-and-pop outfits that became community fixtures. The entrepreneurs who own these establishments are simply trying to make a living, and they entered into that living under conditions that pointed to profitability. They are as much victims of this government control as are the consumers who have not had a full range of market-leveling choices when it comes to wine. Fundamentally, we are at this impasse today because the bureaucracy, for 50 years running, has been more interested in itself than in the people or the sanctity of the marketplace. The only reason they'd like to change that policy now is that wine consumption is up in general among Americans, and now tax revenue can be augmented. Without getting into the arguments that we have all been makingfor thelast few months, I'm very happy that NY decided to leave the current system in place. I think it was the right choice. It is time to support local. As a retailer, I do plenty of business with local wines, it is how I make my living and my passion. 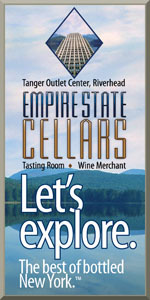 The wineries that were for this felt that NY wines were under represented in the current stores- the wineries that were against it felt that the gas stations and grocery stores would ignore them entirely. Lets work together to show the wine buying public that NY wine is the sensible choice. If we do that, we do not have to market to the 70% of the people that cannot/ do not buy alcohol. We need to get the word out to buy NY wines made with NY grapes. As someone who has visted over 100 wineries (including most of the vocal parties on both sides of this issue) I can attest to the quality of NY wine. Ducan: If that's the case, I agree completely. I've said all along that having more retail outlets isn't a magic bullet. Ed: As a retailer, you obviously have skin in this game, but why do you think "It was the right choice"? Beyond your own interests that is. Because closing businesses (for example a lot of wine shops are located in plazas anchored by grocery stores- what would logically happen come lease renewal time?). Wine stores have business models based on current laws and rules, the argument that quality, hard working store owners would survive is flawed- (as an analogy)imagine if you passed a budgetary item not allowing a winery to make 'party wines" take away their cash cow 'Blue Newts", "Red Cats" etc. (as taking yellow tail, Mondavi, etc. from the wine stores would do). Would a downturn in their business be a reflection on their ability to make and market quality high end wines? Would it make them lazy and uncaring? Would you offer them the ability to make snack foods? Simple fact that the loss of excise tax on liquor from less liquor sales due to less visits to liquor stores was not addressed. I've intentionally left the highly contested reasons off my list. Jason - thanks for the different take on this issue and the role of government. The populace has become disconnected and until we become reconnected/educated I'm afraid we are at the mercy of the largest campaign contributor. Lenn - on the next "lobby day" for Last Store on Main Street you should take a drive to Albany and sit in the offices of our elected representatives while independent store owners, salesreps, and winery owners all plead their case to not allow this massive transfer of wealth to multi-national big box stores, and to large regional grocery chains both with unlimited financial resources to pay lobbyist gigantic sums of money to try and convince everyone it would be an economic plus for New Yorkers and the NY Wine Industry. After watching the second grown man break down into tears about what it would mean to his family I quickly came to the realization that Wegmans would probably be OK without wine and that the additional trip to a wine shop to buy wine might not be such an inconvenience after all. Ed, I'm not sure I agree with you that the argument is flawed, given the examples alright cited, but I can see your side of it as well. Rick, I refuse to get emotional about this (why would I?) so as moving as I'm sure seeing that "grown man' cry must have been, I'm a believer in survival of the fittest as well. Or perhaps we'd all like NY to handle beer, wine and liquor like my home state of PA? Lenn - interesting comment, this is often the beauty of blogs and that we are just a couple of guys sitting behind some computers with an opinion but I would be curious to see if your belief system held fast if you were sitting across the table from a guy just like yourself trying to raise a family and had done everything right and worked his a@# off and for $300 million the state was entertaining the idea of handing his livelihood over to the Supermarket and Big Box contingent. Would you whisper to him that it was "survival of the fittest"? Rick, first of all, anyone who knows me knows that I'm the same in person as I am here on the blog. Second, I guess I just don't think the state "handing" over anything. There seems to be a belief on the part of some that A - B = C. But it's a much more complex equation than that. Agreed? People fear change, but the fact is that none of us actually know for certain what will happen when, eventually, wine is sold in grocery stores in NYS. We don't know. I don't know. You don't know, the guy crying in Albany doesn't know. Not for sure. All any of us can do is look at parallel situations like the cheese shops, the beer shops, the butchers, the fish mongers and the bakeries. Based on those, it can work. Michael asked which states I'd been to where I'd seed local wine in the grocery stores. He acknowledges that its done well in California. The other states are Oregon and Washington, those are obvious. Less obvious are Montana and North Carolina. Really impressive was the selection of Iowa and Missouri wine in a southern Illinois grocery store I visited last spring. Sure they also sell a lot of boxes, Yellow Tail and MD20/20 (Oh wait, that's NY), but from the consumer's perspective that makes not difference. Good wine shops will do fine if they adjust, as they have in other states. Those that don't will fail (sorry Rick if you are one). However, it makes not sense to provide special protection from competition at the expense of consumers. i believe that no matter what, it will work. If the state allows the sale of wine in grocery stores, it will work. if they use PA as a role model, it will work. if they include special rules that limit discounts, it will work. New york will continue to produce wine. the rate at witch it gets recognized may change, but its not going to stop us, it may even help us. However, I always come back to this idea of community. The fact that it can work, does not justify doing something. And neither does the fact that some one busted their rear. I'm sure that a lot of those lobbyists bust their butts to make a living too. We can not use Wegmans as the model for Grocery stores (because they are far from the norm), and we cant use the example of the man crying in albany (because we all have a lot invested in the way we make our money). "Elements of government do not always work in the best interests of the people" - Jason Feulner. And when it gets down to the bottom of it, this bill was not focused on the people, our communities. Yes it will work, however, can we find a better way to make it work? I'm glad we have forums like this to figure it all out! I think that it is inevitable that NYS should sell wine in liquor stores but I also sympathize with liquor store owners. They have gone into business and invested a great deal of money based on the NYS laws on liquor. They will immediately be in a big disadvantage due to the amounts of money that these large grocery stores have. Therefore I think that they should have a two year transition process. I.E two years from March 20th 2010 grocery stores will be able to sell wine. In the meantime existing liquor stores can start selling other gourmet items (Cheese, Meats) and they can open up additional locations. This will give existing owners the ability to maybe get out of their leases and offload their current inventory. The ones that want to stay in the business can expand and establish themselves, the ones that don't can sell out and try to get jobs at these grocery stores. Just and idea at how to transition. No matter how you look at it, grocers will carry a reduced selection of wine that sells quickly. I am guessing an average of 20-30 brands based on stores I have visited in other states. A Grocery store or big box chain focuses on national brands that sell in a self service environment. That means wine that is marketed heavily and it will not generally include NY wine to the extent that retailers carry it today. I am sure there will be some stores that carry more and some that carry less and there may be a few that decide to focus on NY. Scroll down to section “T” and open. If nothing else this will give you an appreciation for just how regulated the wine industry is in NY. Wine Shops: against grocery store sales because it means added competition (and they may actually have to try harder to be good and stay in business). NY Wine owners: publicly supporting the local wine shop, but seceretly hoping for more distribution channels. Consumers: getting screwed on price and availability. New York actually has two wine industries. There are the Wine Trail Farm wineries, and then there is the Taylor-Gallow lot. When people talk about the excelent quality wine NY puts out, they are refering to the former, when they talk about the massive volume of wine NY puts out, they are refereing to the later. grocery store sales will only help the later. It galls me that someone who would rather have the "convenience" of Yellow Tail or Mondavi Woodbridge at a grocery store or gas station rather than driving 5 minutes to speak to a wine specialist with a great selection (including local)is saying I " may actually have to try harder to be good and stay in business". You can ask anyone, I'm far from lazy & I'm good at what I do. After reading these comments, I just want to ask, where do you all live? what cheese shop? what bakery? what butcher? maybe your town is an exception, but these store havent existed in most places for going on 20 years. and as a seperate point, it seems we all acknowledge that IF grocery stores begin to sell wine it will be the cheap mass produced, probably sweet plonk. And since this blog is dedicated to local/regional and quality wine, why the hell are we even talking about it? small quality aiming producers are never going to be a real part of this conversation, ever. If this goes through, are you gonna start reviewing yellow tail from Hannafords? If not, then who cares? This is like Mazeratti worring about what Honda does. Ed Draves: did you read through my comments from the previous link I included? I think you are missing my point. In the beer example I gave in the prior post, my point was that the beer selection in CT wine stores is SO MUCH BETTER because grocery stores can carry beer. Grocery stores carry the usual bud light, coors lite, heiniken, etc. This allows the liquor stores to focus on better, small produced product. Liqour stores don't need to fill their shelves with tons of generic stuff because they aren't the sole provider. My hope for wine in grocery stores (in NY and in CT) is the same principal. Let the grocery stores carry mondavi and yellow tail. I don't buy it, but millions of people do. If the wine stores can alleviate some of their shelf space for those items they'll have an opportunity to provide better product. I say "opportunity" because some wine stores will fail if they don't adapt. I wouldn't ever really see myself buying wine at the grocery store, but I believe allowing grocery stores to sell will benefit me because the wine shops SHOULD actually become better for it. Also... as a consumer of any product - - - why would anyone subscribe to a system that limits choices? Dave I couldn't agree and disagree with you more. Yes Yellow Tail and other plonk will choke the aisles at the grocery stores. Problem is people are lazy and don't care. Convenience is everything...that's why we have drive-thrus. In NY State, you can get beer anywhere. You can't name a store in Albany or NYC that sells packaged quality artisinal craft beers. I know, I've tried. Same goes for CT. The stores are choked with Bud and Miller, and other lawn mower beers. And small artisinal makers are barely represented. I can't find a decent beer store anywhere in the valley that's got a craft section worth traveling to. The same will happen for wine. And secondly, the liquor stores are not being adequately remunerated in this bill. Basically, the one thing they threw to liquor store owners is that they call sell their liquor license after they've been forced out of business. The idea of democratisizing wine is a good one. I would love to have more stores to sell wine to. But this bill is pure crap. Dave, have you tried the beverage distributor in New Paltz? Great comments everyone. I just wanted to bring up one little tidbit of the legislation that no one seems to be paying attention to, regarding restaurants. Restaurants would now have the opportunity to buy their wine directly from liquor stores. Think about that for a second. Your favorite restaurant could have a custom crafted wine list from your favorite wine shop. Imagine how innovative the wine list could be at your favorite restaurant if Ed Draves drafted it, instead of the distributor. If I'm forced to pay exorbitant markups at the table, at least I might have something other that KJ Chardonnay and Blackstone Merlot to choose from. There's an opportunity there to make up for lost sales of Franzia. Carlo: Up in Albany there is at least one beer shop worth checking out: Westemere Beverage. It's good enough that I make the trip into Albany from my in-laws just about every time we're up that way. Rowland: I have at least 3 butchers within 5 miles from me along with at least as many bakeries and if we expand it out to the North Fork, those numbers jump and include a LOT of seafood shops. Brandon's point is absolutely incredible. When you think about the ramifications of liquor stores feasibly being the authors of multiple wine lists and the primary purveyors of the back bar, that will change the dynamic of the business is many ways. What this does additioanlly is cost the wholesaler salespeople in influence. There could be a lot of job loss at the distributor level if there was consolidation of buying power at the grocery level, and now consolidation of influence at the liquor store level. Ponderous actually. Bad news for the salesmen. Bad news for the traditional restaurant winebuyer? Dave- thanks for the response- I now think I may have taken things a bit personal when it wasn't attended. Brandon- thanks for the compliment, having lunched with you at Red Newt and knowing the wine list of your place, that is a very high honor. The arguments have all been made and now is the time to come together. We have all networked, made friends, know eachother, discussed etc. lets take our newfound relationships and devise ways to sell more local! Ever read the book "Who moved my Cheese." Will the retailers become complacent like Hem and Haw. Like Hem and Haw, they rant at the unfairness of the situation. Meanwhile Sniff and Scury venture out and find a new supply of cheese, although different just as good and satisfying. "If You Do Not Change, You Can Become Extinct"
The wine shops (and a lot of small wineries) did not sit around and " rant at the unfairness of the situation", we went to Albany and let our reps know what this legislation would mean to our businesses and to the economy. We were proactive, we worked together and we got the job done. Now it is time to continue to work together to further grow the local wine industry. We need to have this Law passed. Why should Liquor stores be protected when no other business is? This will create more competition and bring down prices. Guys, as a California resident I will make one major point. As people drink wine, they tend to drink more and more wine with a natural inclination to move into both better producers as well as local producers. At the end of the day, isn't the most important thing to increase the industry as a whole and then let the good producers sort the rest of it out? I can't imagine that good local vintners are going to lose out much business to the likes of Yellow Tail, at least long term. I won't even mention in great detail that these laws, at least generally speaking are breaking the commerce statute. Open up the industry, I'll bet your local wineries benefit from increased wine drinking by sales and more trips to their tasting rooms where they sell direct to the consumer and turn the largest profit. Why doesn't it suprise me to see a California wine guy comming out for this? Scroll down to "section T" on the right, click and open. I'm not sure why the folk who don't have the time or interest to read the legislation feel that they are qualified to comment, but they are in exalted company, as I have found that plenty of senior people in State goverment and farm lobby groups who are "for" WIGS have not read it either. This bill as written would be bad for NY wineries and grape farmers and terrible for underage drinking and drunk driving. It was written in part by the gas- station lobby and the license fees are set to make it attractive for any gas-station, convenience store or bodega to have 16-year-olds selling wine 24/7 to whomever. It would force NY wineries to triple their interest free (A/R)loans to retailers. It would favor big importers and West Coast Wineries by allowing container-load volume discounts and loss- leader sales of wine. Its a mess. The $300million in license fee revenue that the Governor is chasing would come right out of NY State consumer's pockets as higher grocery prices and more big-box store profits. Grocery stores aren't lobbying for this because they want to better serve consumers. They want it so they can make more money AFTER paying the tax man. Please, read the 11 pages... and then call your legislator and state senator. At least then they will be getting informend input.